111dB signal to noise ratio and -100dB total harmonic distortion. WOLFSON Microelectronics has released a new version of its WM8718 differential stereo DAC. It has smaller packaging and operates over an extended temperature range. It is aimed at in-car DVD players. The WM8718QFN is offered in a 4mm x 4mm QFN package. It has a 111dB signal to noise ratio and -100dB total harmonic distortion. It has differential outputs for improved audio quality. Left and right zero flag outputs allow control of external mute circuits. The WM8718QFN is specified for operation over the automotive temperature range of -40ºC to 85ºC. 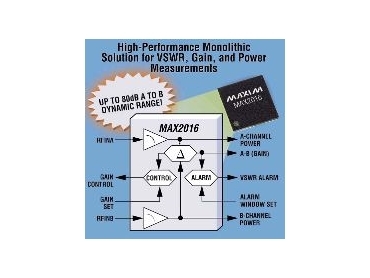 The WM8718's multi-bit sigma-delta architecture makes it less sensitive to clock jitter. The DAC uses a low-order modulator that produces less high frequency noise, requiring fewer analogue output filter components. The device supports PCM data input word lengths from 16 to 32-bits and sampling rates of 192kHz.